Make early financial lessons accessible and fun with a Youth Account! 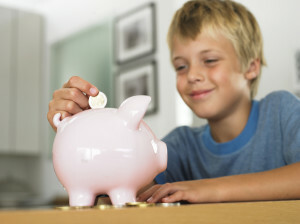 Children 12 and under are eligible for the Loon Savings Club offered here at Lincoln Maine FCU! We know how important it is to teach children simple money management lessons at a young age, so we try to make it an enjoyable experience. Set your little ones up for the future by signing them up for a Youth Account today. With lots of exciting rewards and prizes, learning how to save money has never been more fun! To Join the Loon Savings Club, all you need to do is deposit $25.00 (plus a $1.00 membership fee). After setup, your tiny account holder is eligible for the following fun rewards! Receive a $1.00 deposit to your account as our gift to you on your birthday.